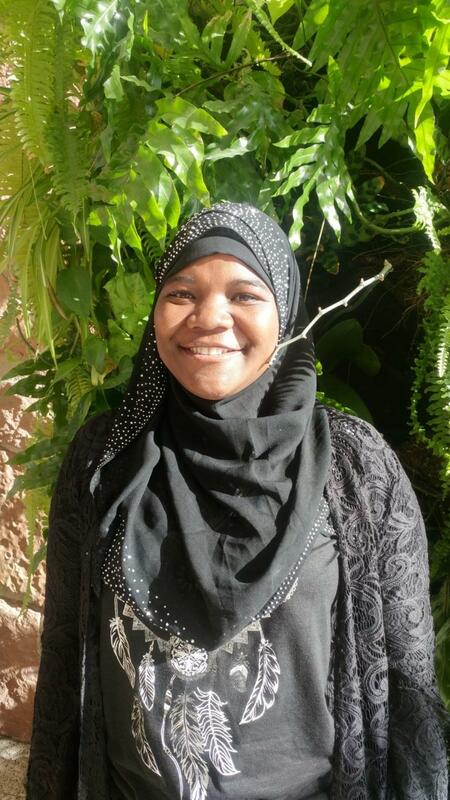 The Utah Valley University Journal of Student Leadership has accepted Aziza Hussein’s story for publication. She wrote about her life as a refugee, her struggles with mental health, her personal growth as a leader and her own self-discovery. The journal will be published this month. “One day I’m going to write my own book, but as of right now, I’m enjoying where I am in life,” Hussein said. Hussein’s bravery in telling her story is incredible. As a white person born and raised in the United States, I cannot tell her story in the same way she can because I have never lived it. When people with diverse voices are willing to step forward and share their experiences, the most important thing others can do is listen. Hussein is currently a student at the University of Utah. She is pursuing a degree in human development and family studies with a minor in nutrition. She wants to use her education to continue to help others, specifically refugee communities, the elderly and young children. Hussein was born in a refugee camp in Kenya. When Hussein was 9 years old, her family was finally granted approval to come to the U.S. When they reached the U.S., Hussein said she experienced major culture shock. She and her family did not speak any English and did not know much about American life. She described her shock of using water for the first time. In Kenya, the nearest water hole to the refugee camp she and her family resided at was 10 miles away. In America, she could simply turn the faucet and water would come out. Hussein found it difficult to make friends. Many of the other students in her class bullied her. “I remember going home every day crying. I would tell my mom that I’m never going back to school again … but she would always promise that tomorrow would be better,” Hussein said. In 11th grade, Hussein’s school principal connected her with a new student from Uganda. The principal mistakenly thought Hussein spoke Swahili and wanted her to translate. Despite her struggles with making friends and the language barrier, she agreed to help the girl anyway. “I didn’t want anyone else to go through that when I could help,” Hussein said. Her newfound friend spoke little English, so communication was difficult. Nevertheless, they became close. “After that I kind of dedicated my life to helping others,” Hussein said. When the 2016 presidential election occurred, Hussein said the shock to the refugee community was enormous. She recounted the fear that her friends and family faced. “I was terrified to leave my house because we were hearing all this stuff in the community, all these things that were always there, but now are being validated by higher power,” Hussein said. Hussein never gave up trying to help her community. She organized a number of events to help other refugees process the election, including a dinner and discussion to help people have conversations about the election. “I can’t change what the president is doing, I can’t change the big things, but I can take small steps in helping those that are around me [and] make their world a little less painful to live in,” Hussein said. With legislation concerning immigration, in particular the immigration ban, there has been high-profile media coverage on as immigration and refugees. “There were a lot of people out there who were attempting to tell our story, but no one can do that but us,” Hussein said.